This gown has an attached short sleeve Queen Anne neckline with key-hole back. 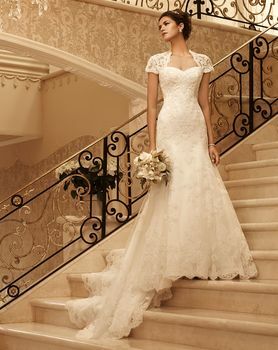 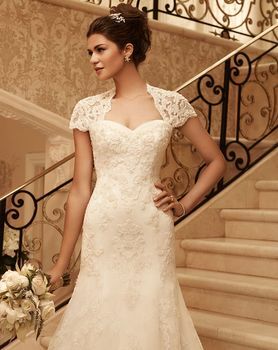 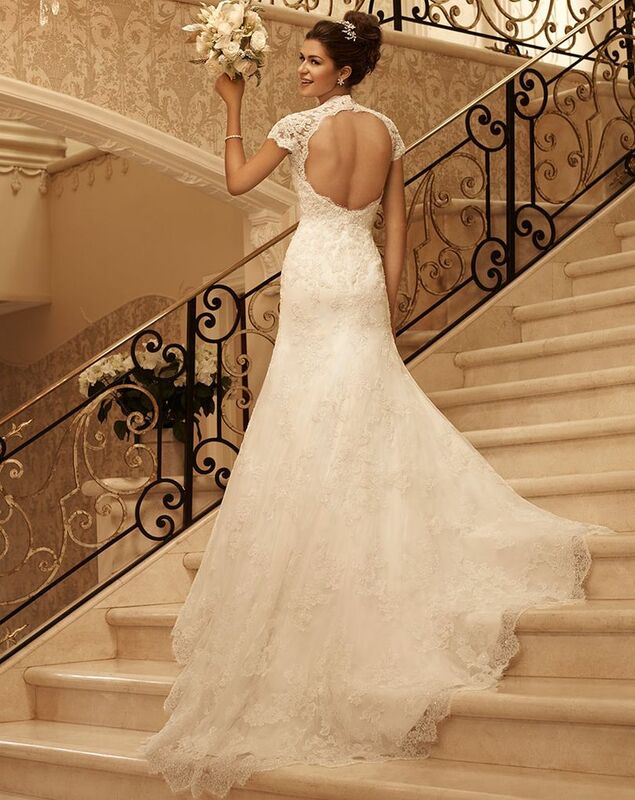 Sweetheart neckline is trimmed with pleated organza. Beaded lace fit and flare gown is finished with an eyelash fringe scalloped hemline.